I've always found it interesting how often subwoofers get typecast as being right for one application, but not another. I've always found it interesting how often subwoofers get typecast as being right for one application, but not another. "Ported-box subwoofers play really loud and are unbeatable for adding boom to action movies," some people say. Others claim, "Only a sealed-box sub gives me that tight, controlled bass I need for my music." Is it too much to ask to have one sub that can easily plumb the depths of bombastic Hollywood soundtracks, yet also provide pitch-perfect, lightning-quick low frequencies that bring out the best in our music? SVS doesn't think so. 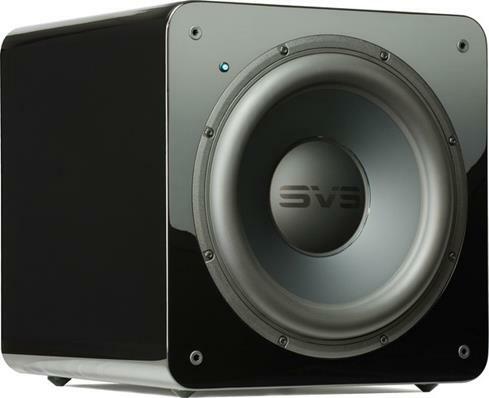 Say hello to the SVS SB-2000 — a subwoofer that gives you the best of both worlds. Its high-output 12" aluminum-cone woofer and cool-running 500-watt Class D amplifier combine to deliver stunningly accurate bass at prodigious levels all the way down to 19 Hz. And that's something any music or movie buff can really get behind. The SB-2000 has a built-in Digital Signal Processor (DSP) that dynamically controls amplifier power to ensure you hear deep, low-distortion bass no matter how loud your music and movies get. It also uses an acoustic suspension (sealed) cabinet design with no hole or port to interact with your room, so you'll experience tight, accurate response from this sub for added depth and dimension with all of your entertainment sources. 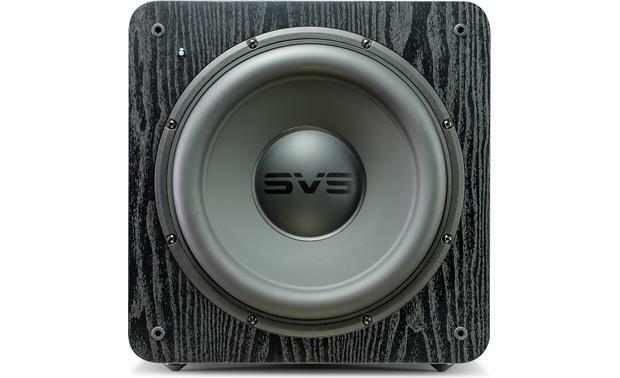 And since the driver creates some serious pressure inside the closed cabinet, SVS builds the SB-2000 strong and rigid to eliminate any cabinet flex and keep the bass clean. Line-level inputs and outputs let you easily connect this sub to most audio systems. 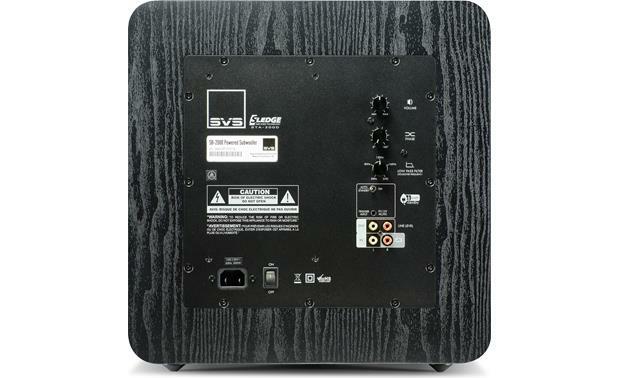 A Low Frequency Effects (LFE) input accepts the subwoofer connection from your A/V receiver. Its back-panel volume, crossover, and phase controls help you fine-tune the bass to ensure a perfect sonic match with your main speakers and your room. The sub includes four conical rubber feet that reduce surface contact area to decrease the amount of vibrations transmitted to the floor. 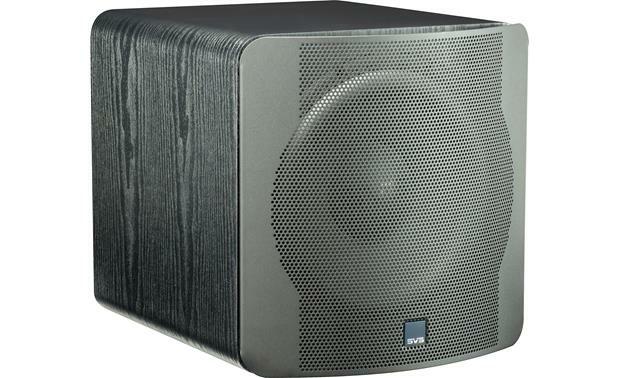 The SB-2000 makes an excellent addition to just about any stereo music or home theater setup. 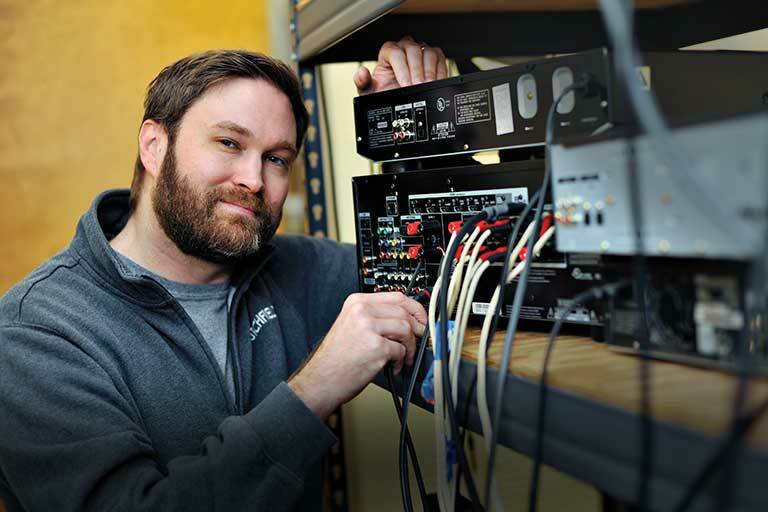 "When we started carrying SVS subwoofers a few years back, I wanted to get a feel for their sonic capabilities, so I took home an SB-2000 for an audition in my home theater/music system. What I thought would be a brief visit turned into permanent residence. The SB-2000 replaced an ACI Titan subwoofer, which had anchored the sound of my system for nearly 20 years. In its day, the Titan was considered one of the best under-$1000 subs available. 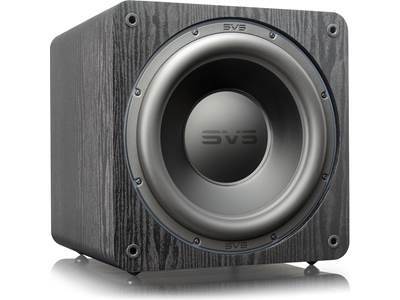 SVS was founded in 1998 by a group of audio enthusiasts seeking to develop a better alternative to the under-performing and over-priced subwoofers popular at the time. By leveraging advanced technology, using the highest quality components, and applying rigorous engineering and design principles, the SVS team has developed a line of high-performance, high-value audio products that bring music and movies to life with stunning realism. The curved metal grill is not attractive and juts out far too much. The SB1000 has a sensible cloth grill and thus offers nothing to complain about. SVS says the cloth/fabric cover for the SB2000 is "not available." How much could it cost to make one? Cheaper than metal, I imagine. 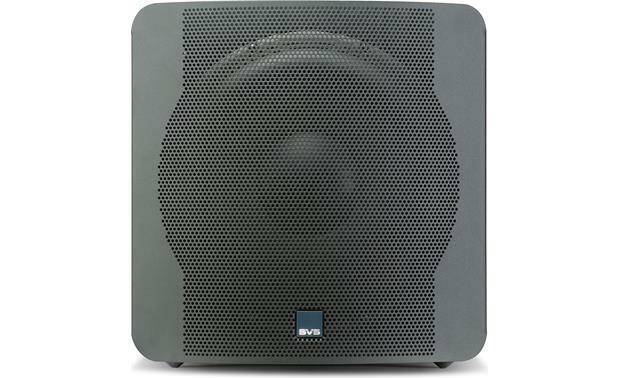 12" High Output Woofer: The front-firing 12" high output woofer of the SVS SB-2000 powered subwoofer pumps out deep and powerful bass with low distortion, for smooth and accurate performance on music and movies soundtracks. The woofer features a lightweight 12" aluminum cone for enhanced sensitivity and transient response, an upgraded suspension for improved linearity and control, plus a long-excursion rubber surround for durability and long-life. It also incorporates FEA-optimized motor technology for low distortion, heavy-duty 2" voice coil for extreme power handling, and an extended pole piece that improves heat sink and thermal management properties. STA-500D Sledge Amplifier: The SB-2000 powered subwoofer employs a Sledge STA-500D amplifier with efficient and cool-running Class D topology. The amplifier is conservatively rated at 500 watts RMS and 1000 watts Peak. This amp features a highly advanced DSP processor offering unmatched control over the subwoofer at all volume levels, for distortion free bass. 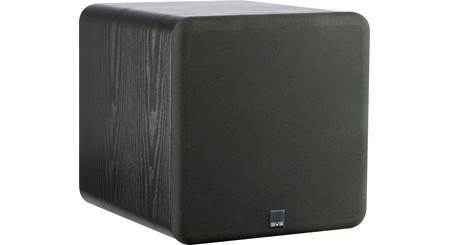 MDF Sealed Enclosure: The SVS SB-2000 powered subwoofer features a rigid MDF (Medium Density Fiberboard) cabinet with screw-in rubber feet and a non-resonant steel mesh grille to resist unwanted distortion caused by vibration. 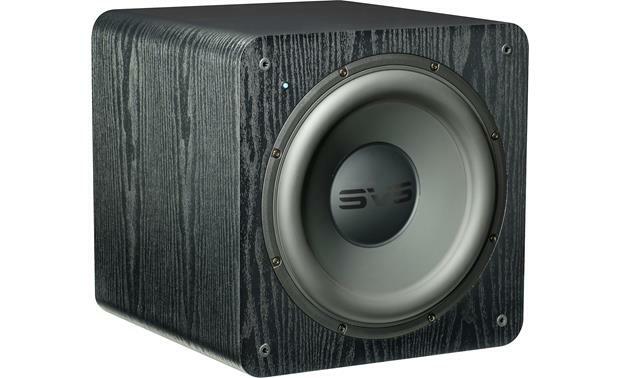 The enclosure is an acoustic suspension (sealed) design for tight, accurate bass response. The cabinet is elegantly finished in a premium black ash wood-grain vinyl or gloss piano-black lacquer, and fits with practically any décor. Variable Controls: The SB-2000 subwoofer has simple and straightforward control options that make integrating the subwoofer into your listening environment an easy task. The control knobs are actually digital actuators for precise and noise-free adjustment. 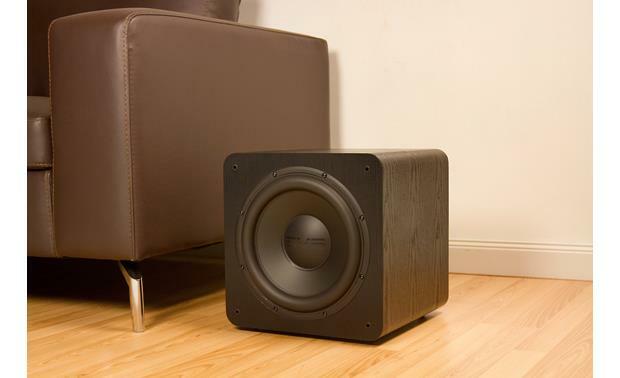 Volume Control: The Volume Control (Min/Max) affects how loud the subwoofer plays. It should be adjusted to match the output level of your loudspeakers. range is 50-160 Hz, along with a "LFE" (disabled) setting. The slope of the low pass crossover is 12 dB/octave. For connection to a home theater receiver, the low pass should be set to "LFE" (disabled). For stereo receiver, it should be adjusted to blend with the natural roll-off frequency of your loudspeakers. Phase Control: The Phase Control (0-180°) delays the signal being processed through the amplifier. It should be adjusted to obtain the most coherent and stable soundstage and transition between your loudspeakers and the powered subwoofer. LFE/RCA Inputs: These unbalanced RCA inputs are used for line-level connection between your receiver and the powered sub. For a single mono connection to a home theater receiver, use the R/LFE input. For stereo receivers, use both the L/R inputs. RCA Outputs: These unbalanced RCA outputs are used in stereo applications to high pass the signal being sent to the loudspeaker amplifier. The line level outputs feature a fixed 80Hz, 12 dB/octave high-pass filter. Placement Options: If possible, place the subwoofer near the front stage, for best blending with the front and center loudspeaker channels. Corner Placement: Corner placement will accommodate most rooms and will reduce the chances for encountering a null (an acoustic cancellation in the bass response) at the listening position. If your AV receiver equalizes the subwoofer channel during auto-set-up, corner placement will often provide the best overall performance. Other Placement Options: If corner placement sound excessively boomy, then try moving the subwoofer to other available locations along the front stage, listening for the best balance of output and a smooth accurate response. Always redo the auto-set-up of your AV receiver after moving the subwoofer to a different location to ensure the acoustic distance and calibration level are set correctly. 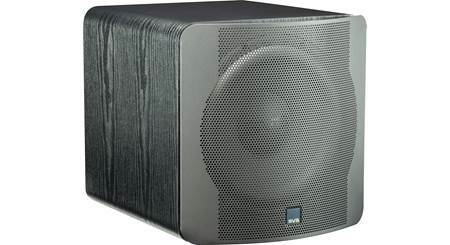 Dual Subs: To maximize the bass output and impact of your home theater, two SB-2000s can be paired; one on either side of your room. Auto/Standby & On Switch: If this switch is set to "Auto/Standby", it will automatically turn-on the powered subwoofer in the presence of an audio signal. 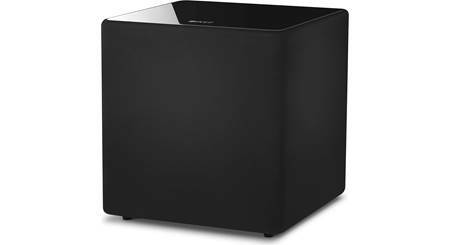 If no signal is present for a period of several minutes, the powered subwoofer will enter "Standby" mode, where power consumption will be less than 0.5 watts. If this switch is set to "On", the amplifier will remain on continuously and will not enter "Standby" mode. Power Status Light: The power status light is located on the front-panel of the powered subwoofer in the upper left corner. The light will illuminate blue when the amplifier is on. The light will illuminate red when the amplifier is in standby mode. 3V-12V Trigger Input: When in standby mode, the powered sub's trigger input (3.5mm) can be used to automatically turn on the powered subwoofer if a signal is sent to this input from another component in the system (like your AV receiver) that features a trigger output. what type of connector i have to use for the trigger ? The SVS SB-2000 requires a Mini 1/8 TS Male Mono connector for the input trigger. Most receivers have a 1/4 inch mono jack for the trigger out. I solved this by buying a 15 ft. mono cord with 1/4 inch male connectors at each end. I then bought a 1/4 Inch Female To Mini 1/8 TS Male Mono Adaptor to complete the connection from receiver to subwoofer. Hope this helps. Do you have pictures of the damage or a description of the damage if any? Is there a satisfaction guarantee on these types of items? Thanks for our question. Unfortunately no pictures. Items sold from the scratch and dent outlet normally have very minor cosmetic blemishes. Everything is tested to confirm full operation. Manufacturers warranty still applies, and we have a 60 day satisfaction guarantee on everything we sell. Hope that helps. 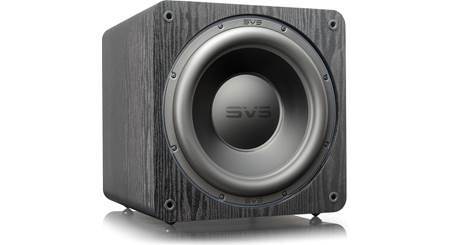 Searches related to the SVS SB-2000 Powered subwoofer.